Slot machines at the Hard Rock Casino in Sioux City. The state-licensed casinos saw an overall increase in revenues despite a drop in the number of visitors by more than one-million for the fiscal year that ended June 30th. Racing and Gaming Administrator Brian Ohorilko says the 19 casinos took in gross revenue of just under $1.5 billion. “Gross revenue for the year was up about $10 million. That is approximately point-seven percent, so not quite a percentage point,” Ohorilko says. The number of people who went through the casino doors dropped again. “That’s a trend that has been a little bit discouraging,” according to Ohorilko. “I think this year they were down about one million people or about 5% year-over-year. And so, fewer people are coming — although they do appear to be spending a little bit more money while they are there.” Visitors to the casinos dropped from 21.8 million last fiscal year to 20.7 million this year. Overall Ohorilko says there are any big changes up or down. The Prairie Meadows Racetrack and Casino in Altoona saw the largest increase — up 5.5% to just more than $201 million. The Hard Rock Casino in Sioux City saw a five percent increase to $80,911,617 million dollars. The Hard Rock has done some remodeling, but Ohorilko doesn’t know if that impacted numbers. “I’m not sure if all of those numbers can be attributed to that remodel, the remodel has been pretty recent. I know they have reemerged their base with some different marketing promotions,” he says. Ohorilko says the Hard Rock can take advantage of its amenities. He says they have an indoor/outdoor concert area that allows them to offer some unique concerts. 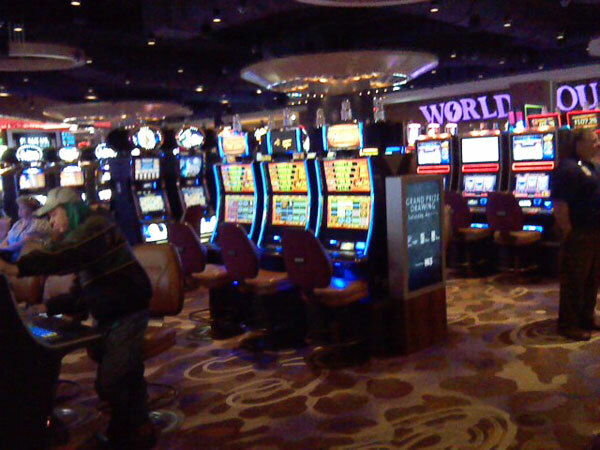 The Grand Falls Casino in Larchwood saw an increase earnings despite some very cold winter weather that impacted its operations. “Grand Falls was up about two-and-half percentage points from last year, given some of the bad weather. Their admissions were down about seven percentage points — so it is difficult to glean exactly some of those reasons why,” Ohorilko says. Among the operations which saw a drop, the Casino Queen in Marquette lost more than $2.6 million in revenue from last year, while the Catfish Bend Casino in Burlington lost more than $2.5 million. The Lakeside Casino in Osceola saw a drop of a little more than two million dollars and the Isle Casino in Waterloo a little more than $1.8 million.